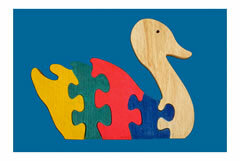 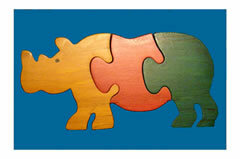 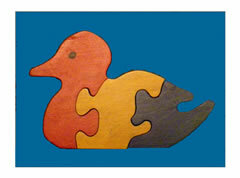 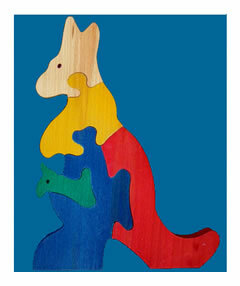 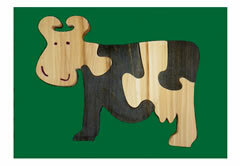 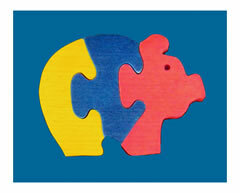 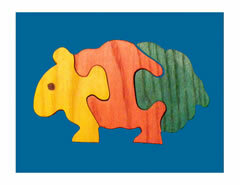 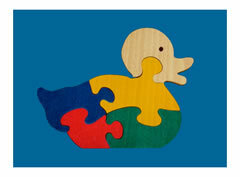 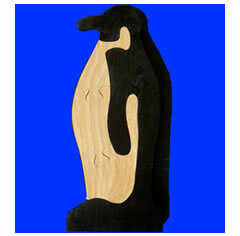 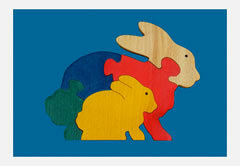 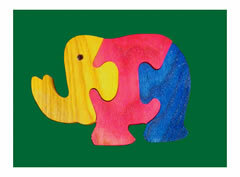 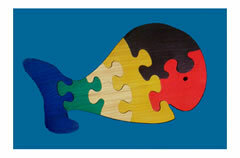 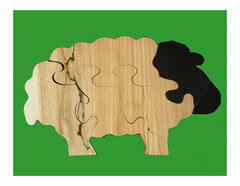 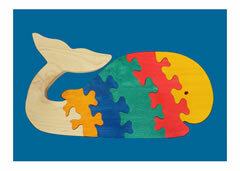 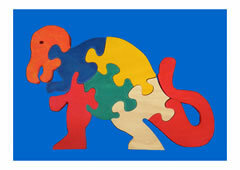 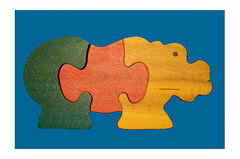 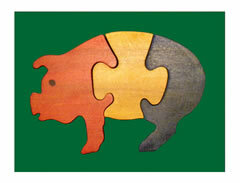 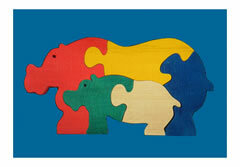 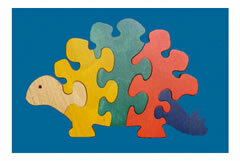 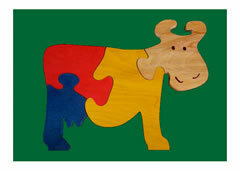 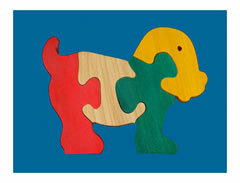 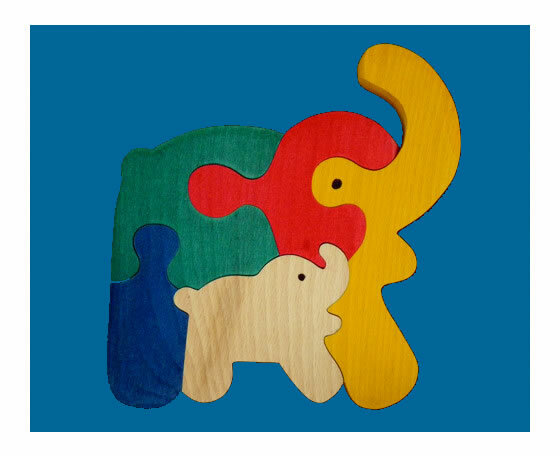 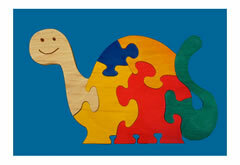 Wood You Like jigsaw toys are suitable for children of all ages from 3 to 93. 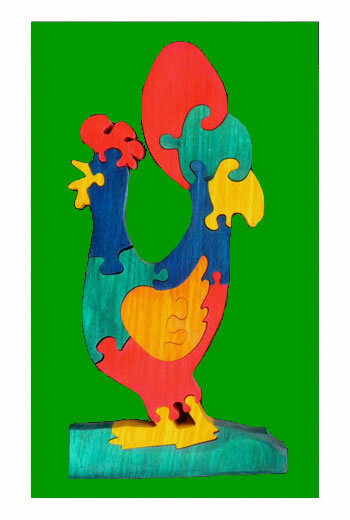 They range from very simple 3-piece jigsaws of animals to very complex many-layered puzzles which gradually unfold to reveal well-known nursery rhymes and fairytales. 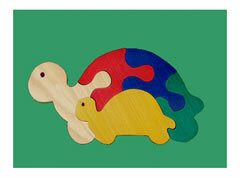 All our toys are hand-made, so no two are ever exactly the same. 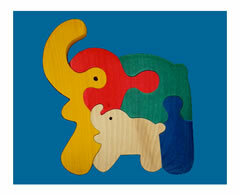 We use toy-tested paints, stains and lacquers so you know the toys are safe. 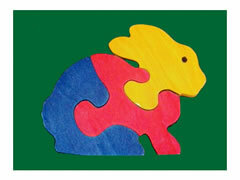 Generally, the fewer the pieces, the easier the puzzle. 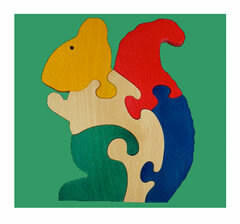 So for the 3-year old, pick a three or four piece puzzle - after that, it's each kid for her or himself. Since all our toys are individually made - cut, sanded, stained and finished all by hand - the colours and shapes will vary from toy to toy. 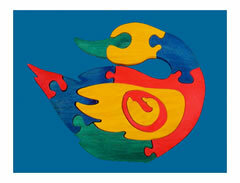 We use bright, primary colours in various rotations. 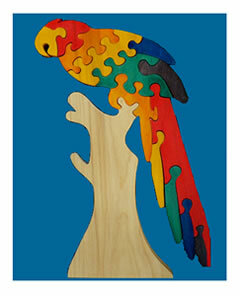 So the yellow-headed parrot today may be green-headed tomorrow. 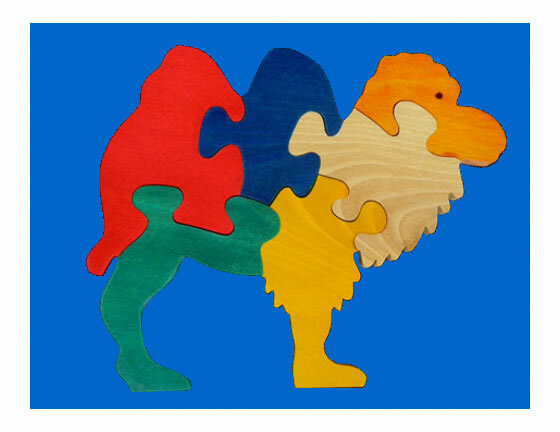 Poor Darwin would have been confused. 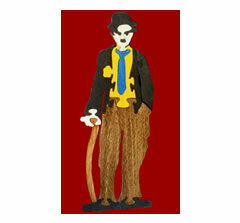 And no, please do not expect us to supply any particular variety of shades. 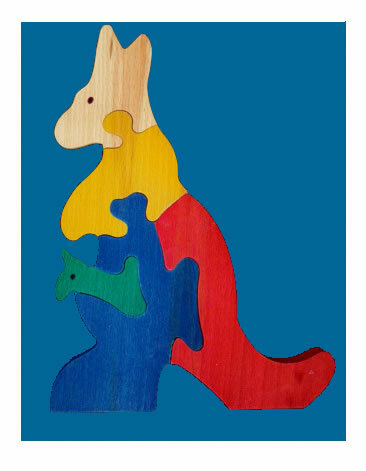 Think of it as a surprise - for all of us! 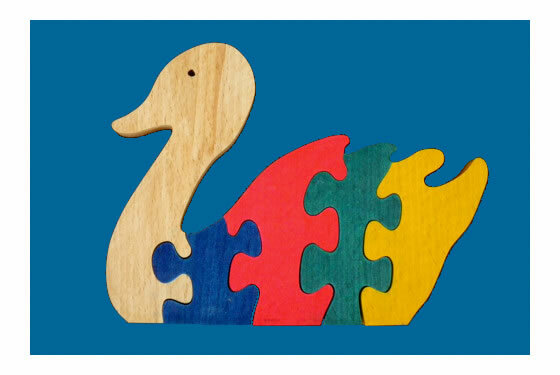 We have jigsaws of ducks, cows, dinosaurs, fish, penquins, sheep, swans, squirrels, giraffes, camels, parrots, tortoises ... and a lot more besides. 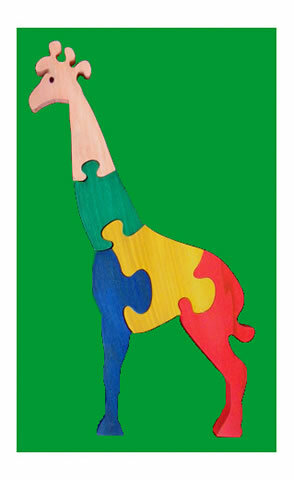 If you don't see your favourite animal, email us and we'll see what we can do for you. 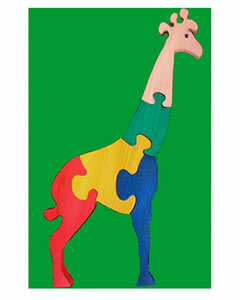 Explore our toys below to find the perfect gift for children and adults of all ages. 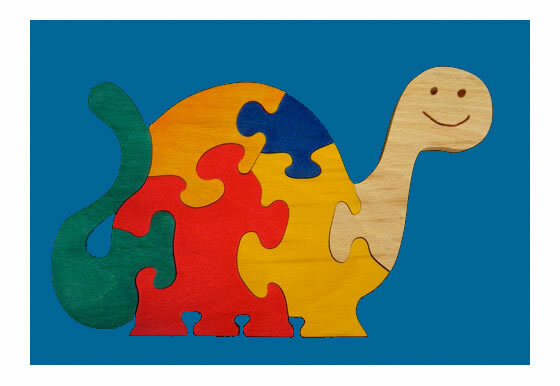 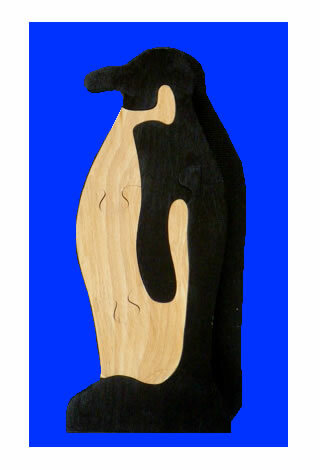 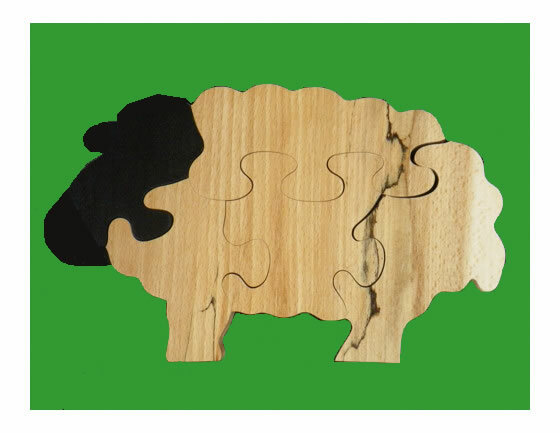 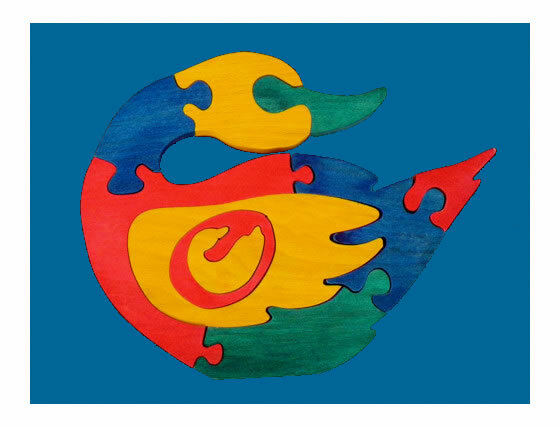 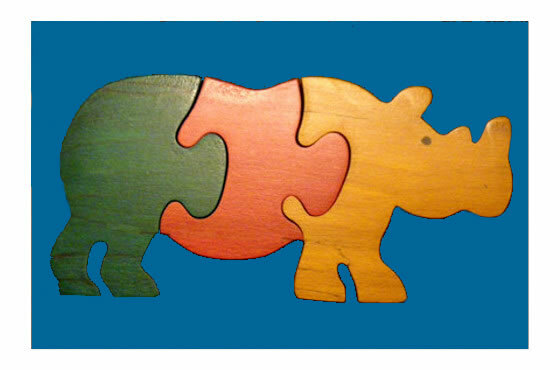 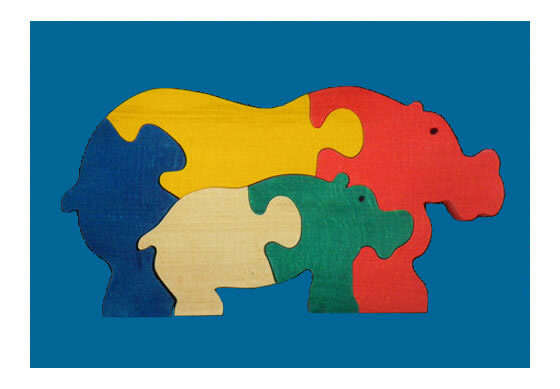 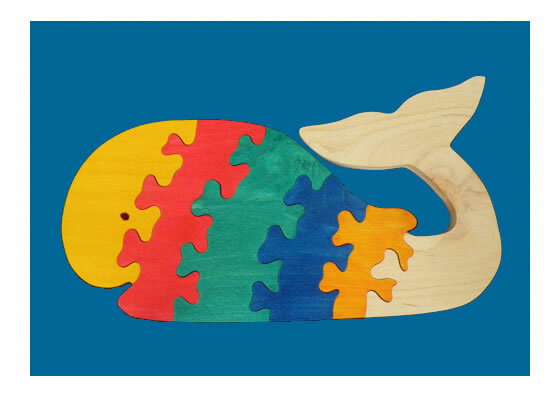 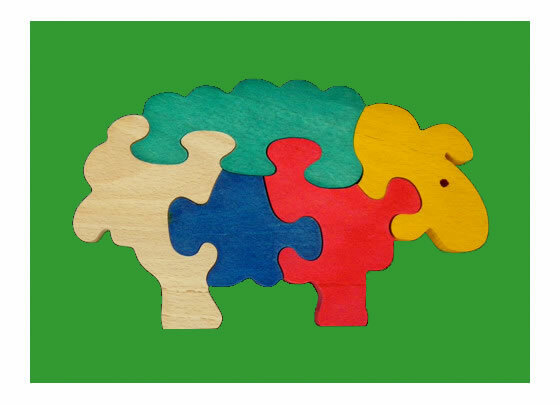 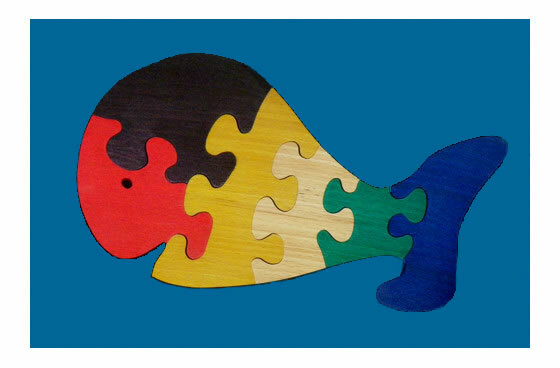 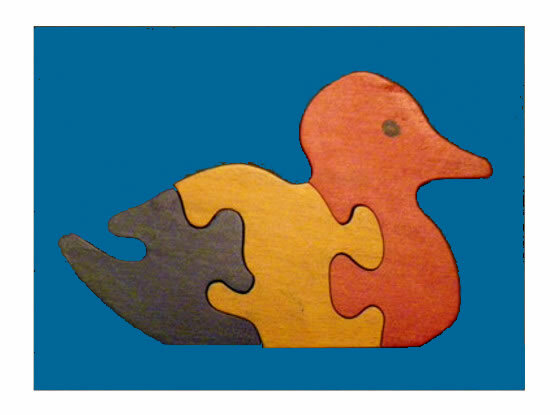 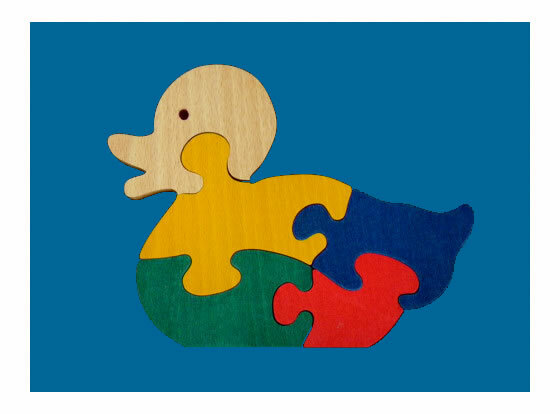 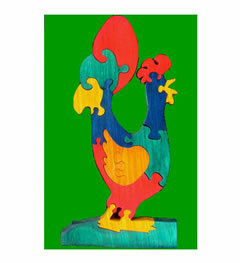 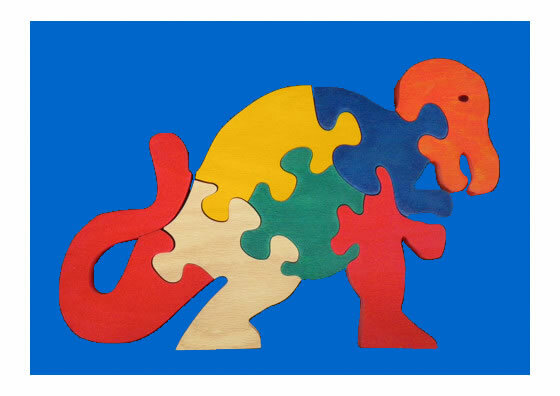 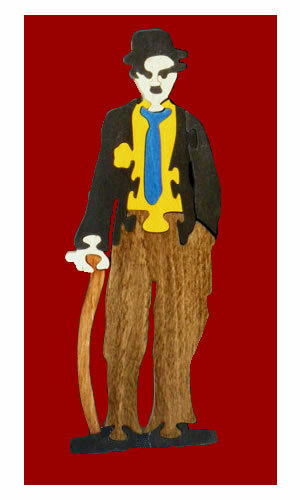 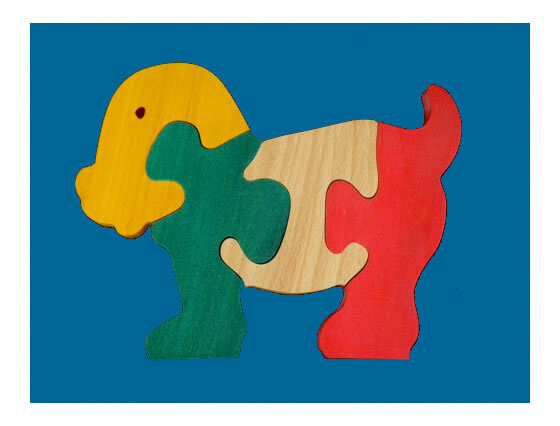 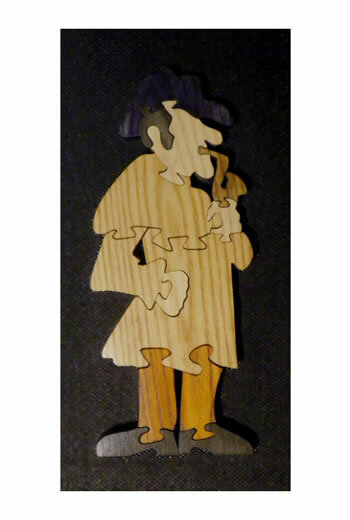 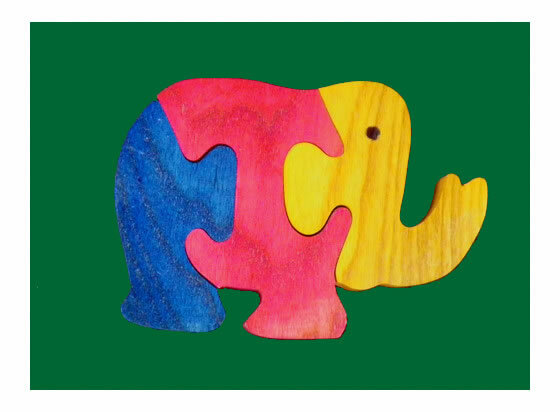 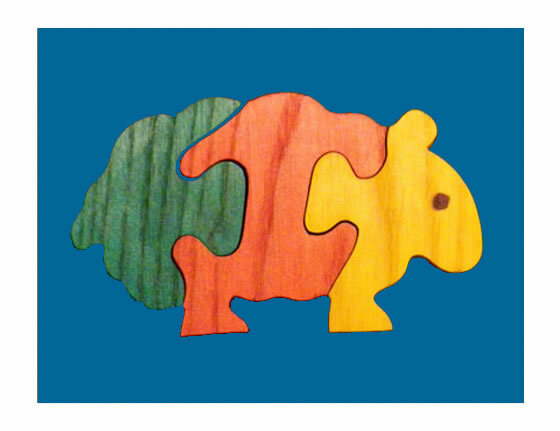 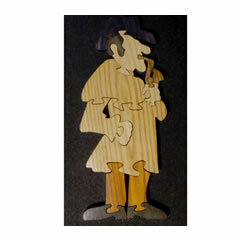 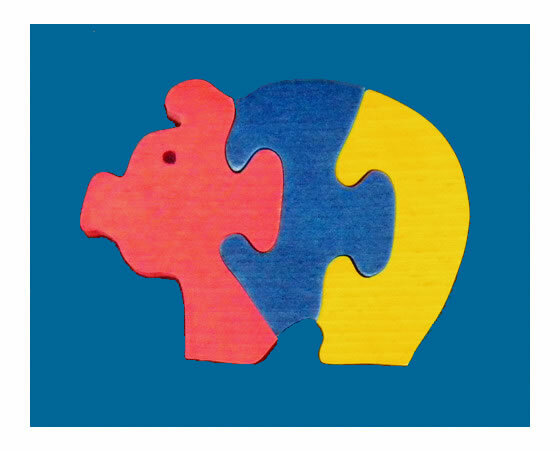 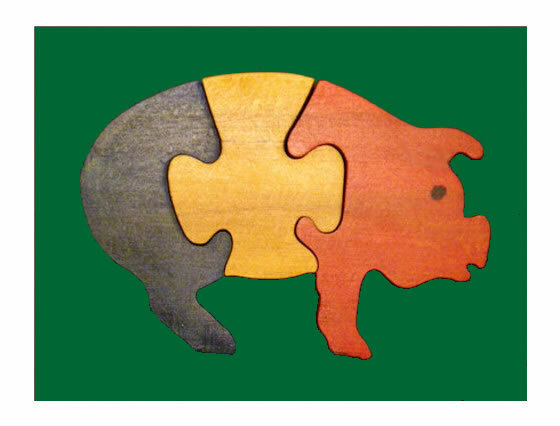 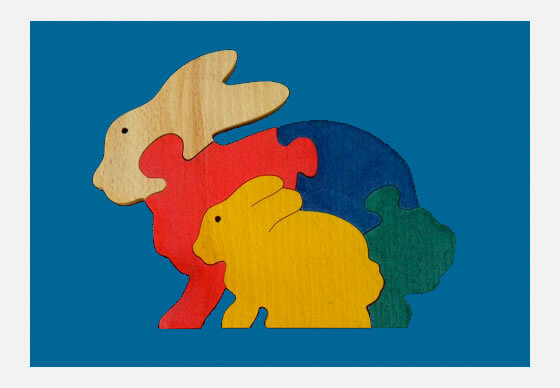 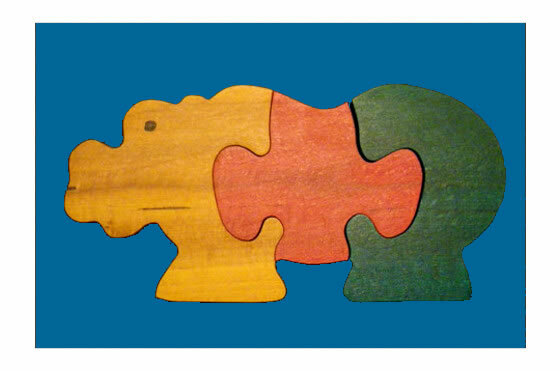 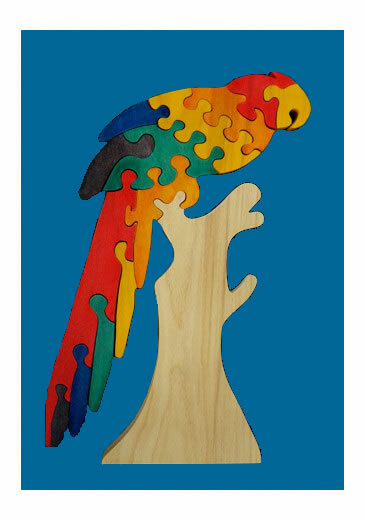 Wood You Like make many of our jigsaw toys in both small (usually 3 piece-jigsaws) and in larger and slightly different versions that may have 5 or 6 pieces. 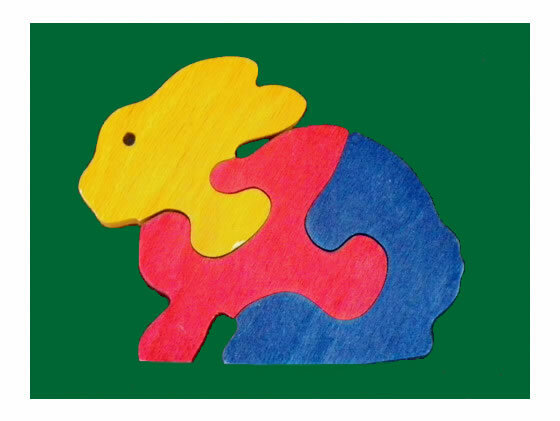 We start with the smaller jigsaws on this page and then gradually work upwards. 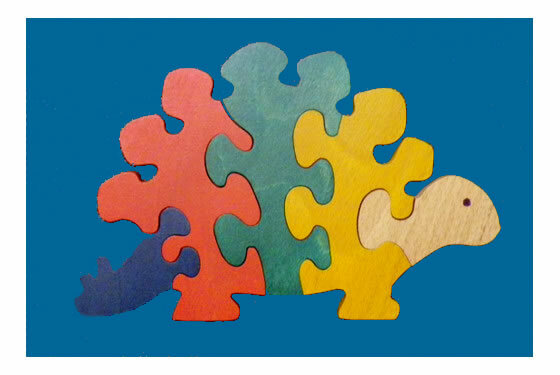 The following jigsaws are larger sizes than the small jigsaws above. 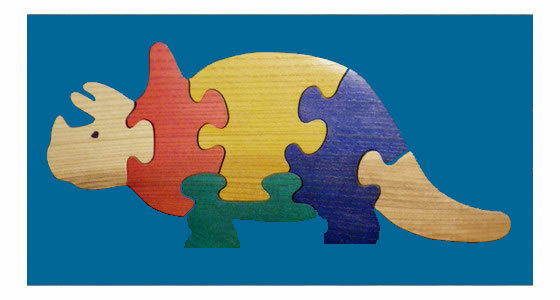 The following jigsaws are larger sizes again than the small jigsaws above. 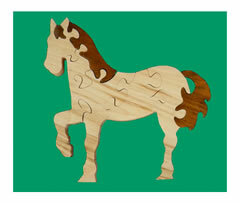 The following jigsaws are more complex and contain many pieces. 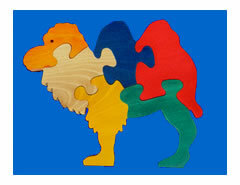 The following jigsaws contain small pieces and are unsuitable for younger children. 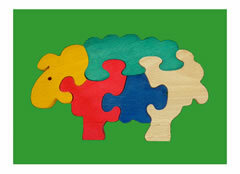 Contains small pieces - unsuitable for younger children.